New Home ready for move-in February 2019! Open-concept kitchen with upgraded GE Profile stainless steel appliances and a large great room. The many luxury upgrades in this home include: soft-close, dovetail cabinets, extra pots and pans drawers, shaker-style cabinets, and custom tile throughout. Pamper yourself in your spa-like master bathroom with a beautifully tiled shower and garden tub. The secondary tub/shower is also tiled with an upgraded quartz vanity top! This home has a 3-car garage to give you lots of extra storage or parking. Walk through your 12′ sliding glass door out to your spacious back patio and yard or head out your front door to explore the great Sonoran Desert! Please, send me more information on this property: MLS# 5823595 – $514,024 – 223 E Pasaro Drive, Phoenix, AZ 85085. 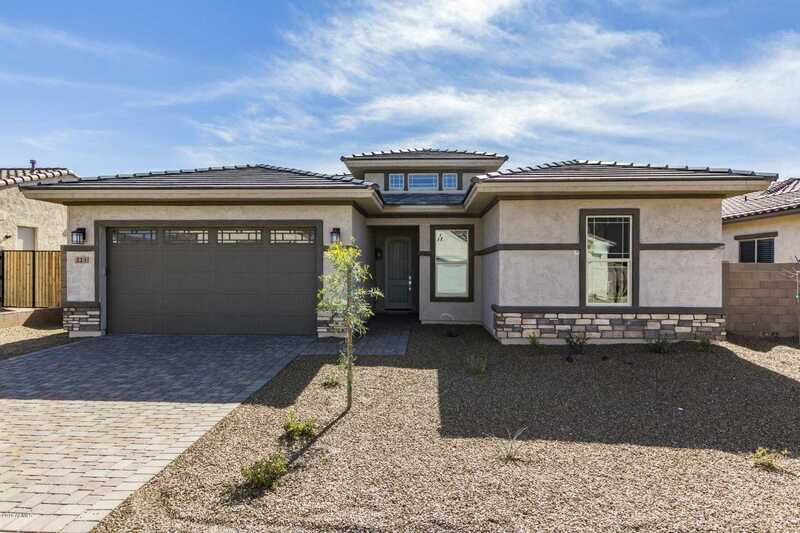 I would like to schedule a showing appointment for this property: MLS# 5823595 – $514,024 – 223 E Pasaro Drive, Phoenix, AZ 85085.